According to Olympic tradition, all the athletes are marching into the closing ceremony as one big group — not nation by nation, as they do in the opening ceremony. The flag bearer for the United States is Julie Chu, a member of the women's hockey team, which let a 2-0 lead slip away late in the final game and barely missed a gold medal. She told TODAY on Saturday that she was humbled to be chosen to carry the flag. And, in what is now a common sight at the Olympics, countless numbers of the athletes are using their smartphones to take photos and video of the moment before they say goodbye to Sochi. 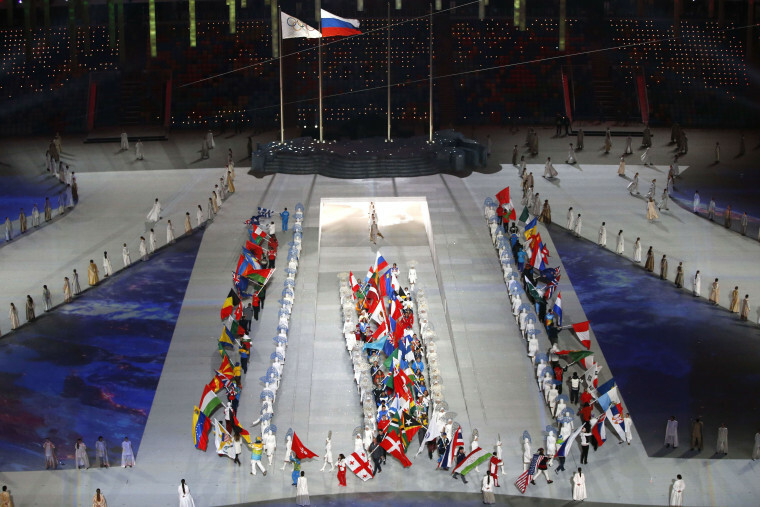 There were about 2,800 athletes at the Sochi Games, although many of them have gone home early.